Hello, my name is Carl Emil and I work with interactive graphics and mixed reality experiences. When I am not occupied with my personal productions at cec.dk or teaching, I help companies design, prototype and develop content for installations, scenography, devices and alternative displays. I have a background in art and design, with 11 years of technical experience (mainly using Unity3D). Consulting directly or through design companies, I have recently worked with Lego, Hasbro, Danish Broadcasting Company, The Royal Danish Theatre and more. Find my CV here. You are always welcome to contact me. The image above is from the project Social Zone, a collaboration with Dark Matters for Roskilde Festival 2012. 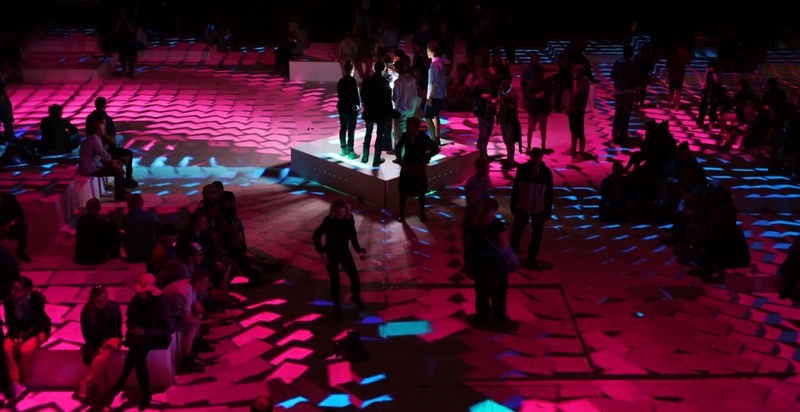 My role was to develop projection mapping, system and generative interactive content.